GRENOBLE, France – May 24, 2017 – Leti, a technology research institute of CEA Tech, will demonstrate the world’s first wireless transceiver dedicated to ultra-narrow band (UNB) communication at the joint conferences of IEEE Radio Frequency Integrated Circuits (RFIC 2017) and the International Microwave Symposium (IMS 2017) in Honolulu, Hawaii, June 4-9. UNB is an enabling technology for low-cost and low-power wide-area (LPWA) networks. It is one of the core technologies employed by IoT network providers such as Sigfox and Telensa. Based on spectrally efficient modulations such as differential binary phase-shift keying (DBPSK) and Gaussian frequency-shift keying (GFSK), UNB simultaneously optimizes network capacity and maximizes the communication link budget. 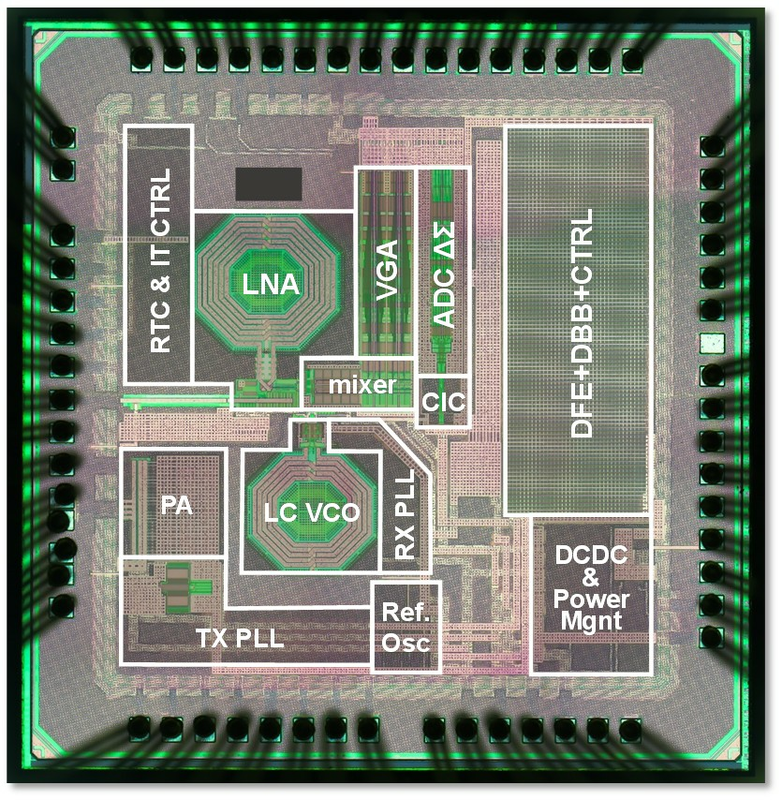 Known as Foxy, the single-chip sub-GHz transceiver developed by Leti is a 65nm CMOS device that pushes UNB technology beyond state of the art. It can achieve unprecedented bandwidths of 100 Hz, even while doubling the power efficiency of the downlink. In addition, Leti will present its latest developments in IC design dedicated to 5G communications in five talks during the IMS and RFIC conferences. • Ayssar Serhan will present a paper, “A Fully-integrated SOI CMOS Complex-impedance Detector for Matching Network Tuning in LTE Power Amplifier” (100-4) on Sunday, June 4, during the Interactive Forum from 7:30 to 9:30 pm. • Alexandre Giry will present Leti’s tunable power amplifiers on RF-SOI technology and front-end module solutions during the Front End Module (FEM) for 5G workshop (WME) on Monday, June 5 (Leti’s talk is WME-4). • Florian Voineau (ST-Leti) will present a paper entitled “Broadband 55-95 GHz Microstrip to Waveguide Transition Based on a Dialectric Tip and a Tapered Double-ridged Waveguide Section” (WE1B-5) during the Transmission Lines and Transitions session (WE1B) on Wednesday, June 7, from 9:20 to 9:30 am. Leti will demo the UNB transceiver and organize meetings with experts at IMS booth #1937 from June 6-8, 2017. 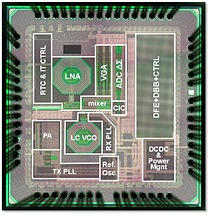 Leti, a technology research institute at CEA Tech, is a global leader in miniaturization technologies enabling smart, energy-efficient and secure solutions for industry. Founded in 1967, Leti pioneers micro-& nanotechnologies, tailoring differentiating applicative solutions for global companies, SMEs and startups. Leti tackles critical challenges in healthcare, energy and digital migration. From sensors to data processing and computing solutions, Leti’s multidisciplinary teams deliver solid expertise, leveraging world-class pre-industrialization facilities. With a staff of more than 1,900, a portfolio of 2,700 patents, 91,500 sq. ft. of cleanroom space and a clear IP policy, the institute is based in Grenoble, France, and has offices in Silicon Valley and Tokyo. Leti has launched 60 startups and is a member of the Carnot Institutes network. This year, the institute celebrates its 50th anniversary. Visit www.leti.fr/en and follow us on @CEA_Leti.